Cardul Thank You ! - Ne bucuram sa fim si sa ramanem impreuna! 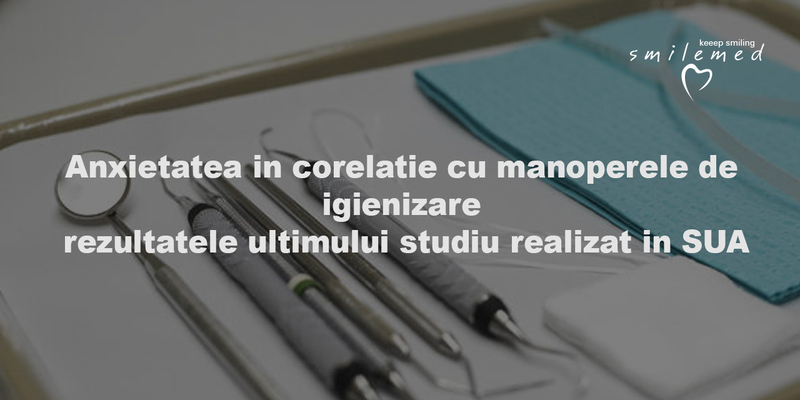 Odontology is a dentistry branch that handles the treatment of the cavities and dental pains. Pediatric dentistry ( also called Pedodontia from the Greek "pes"= child and "odontos"= tooth) is the branch of the dentistry which deals with the specific treatment of milk teeth and permanent teeth ( barely erupted). Orthodontics is the dentistry specializing in straightening your teeth. Periodontology treats the tissues affections and those of the bone which surrounds and holds the teeth.The periodontal affections attack the sulcus (a tiny crack in V shape between the gum and the tooth) causing the detachment of the tissue from the tooth. The most important things which draw our attention when we talk with a person are the eyes and of course the smile. 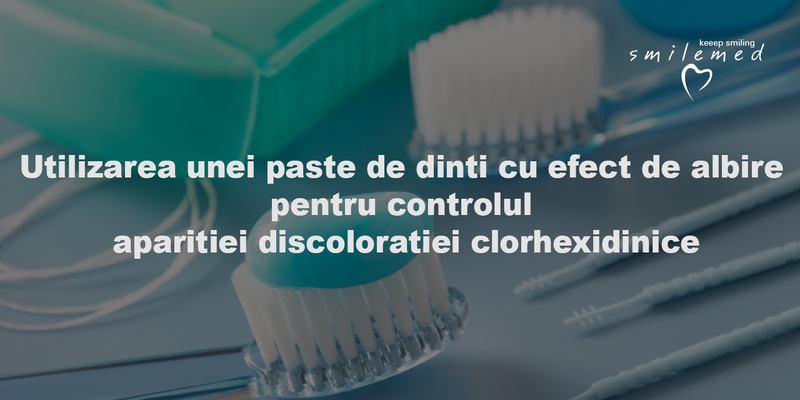 Prophylaxis refers to those measures taken in order to prevent diseases and health problems. In the practice of modern dentistry, the teeth are pulled out only in extreme cases, when the therapeutic treatment fails to have success. Dental radiology services help to diagnose teeth problems correctly (cavities, tooth root infections, severity or age of the infections, etc.) and also to design the treatment plan for othodontic appliance. Smilemed is a young team trained in modern dentistry who constantly seeks to be up-to-date with the latest research and treatment methods, attending international courses and congresses. Subscribe with your email to be up to date. Dental clinic for you ! Copyright © 2017 Dental clinic Smilemed. All rights reserved. 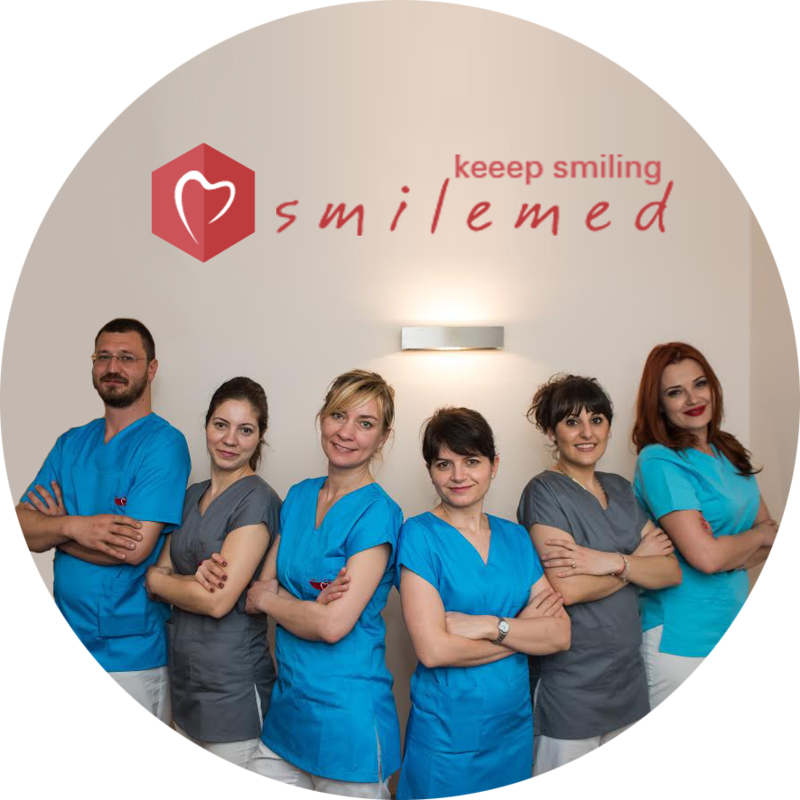 The dental clinic Smilemed respects its clients, welcomes them every day in a warm and confortable environment. 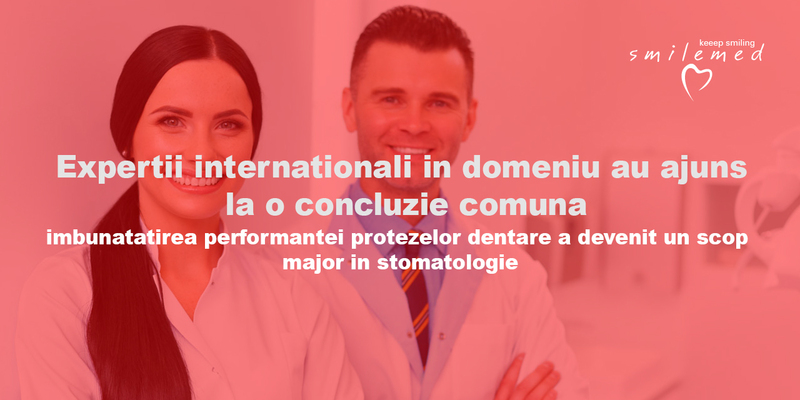 We started in 2001 and we have managed all these years to maintain ourselves in the top dental clinics in Bucharest not just because of our human quality, but most of all for the quality of our medical staff. Our dentists welcome you with a big smile and give you a perfect one when the services are over.